Many people greet the onset of daylight savings with mixed feelings. The unofficial end to winter is a welcome sight, but springing forward and losing an hour of sleep can be difficult. Plan ahead and ease into the time change starting tonight and you can minimize the sleep deprivation. Try to sleep 20 minutes earlier each night until the time change on Sunday, March 13. Do the rest of your daily routines a little earlier each day. Eat dinner 20 minutes early tonight. 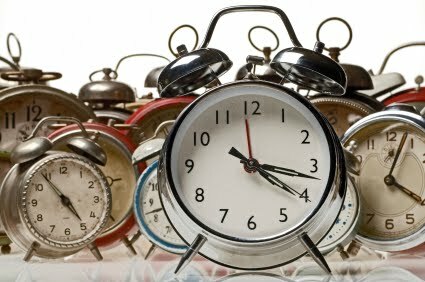 Fail to plan ahead and the time change may disrupt your body clock. You may feel restless at bedtime Sunday night and start your work week fatigued. Night owls may have the most trouble springing forward. Going to bed early can be difficult for evening types. Even 20 minutes earlier than normal might not be achievable. If possible, you may want to try to keep a light schedule of activities, especially for the first few days after the time change. The good news is, even if your sleep schedule temporarily suffers, the winter blues will start to fade. Those affected by seasonal affective disorder may start to feel more energetic as the sunlight increases and the body’s timing may get back on track. If your sleep problems don’t go away a few weeks after the time change – or if they’ve been around for months – you may want to seek professional help. A clinical sleep specialist can help you get past insomnia using cognitive behavioral therapy.